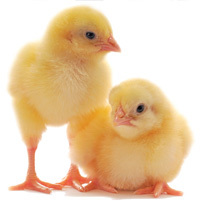 Chick Days are in full swing and if you walk into any farm and ranch store, chances are good that you’ll be greeted with fuzzy, adorable peeping chicks. Who can resist?! But before you scoop up your chicks, you’ll want to make sure you’re choosing the healthiest of the flock. 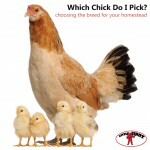 You don’t always have to buy your birds from a store, sometimes you can purchase them directly from a breeder, or a friend, or someone looking to re-home their hen. 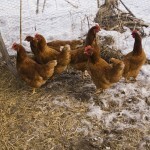 These tips apply to both chicks and full-grown chickens and the key is to make sure you purchase your birds from a reputable source to avoid serious health problems with your flock. If you’re going to buy from a breeder, here is a list of the best breeds for beginners. 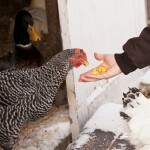 For a full line of everything you need to care for your flock, visit our site at miller-mfg.com, keyword search Poultry. Enjoy your new feathered friends! ‹ Help control the mosquito population in your backyard naturally! 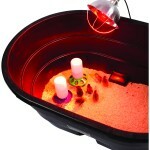 love the design of little giant incubator. just one concern. you should design a easy water refill. ask you said open and close the incubator will affect. watch demo sir specially the one 10300 or the one automatic turn. i lake to buy this product with automatic can you design a easy fill water. how much this cost me.